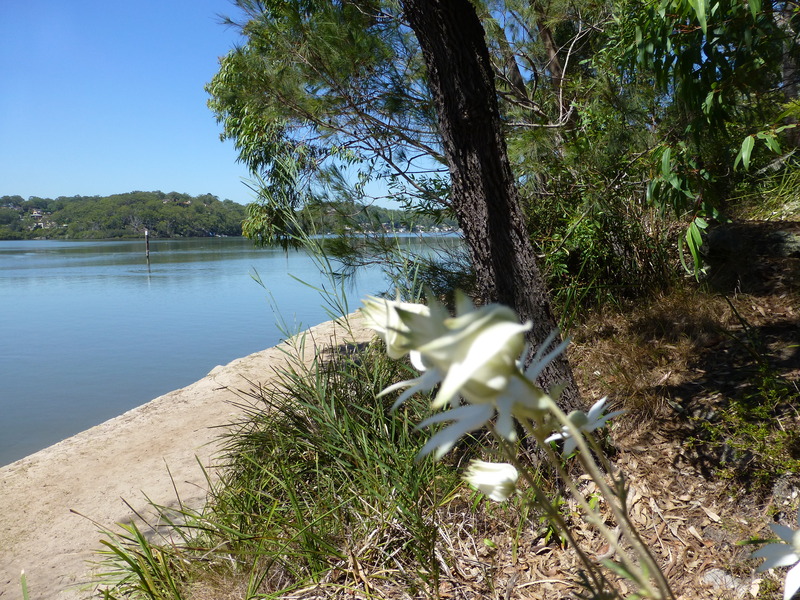 Here we have a combination of two of my favourite sights: the river and Flannel Flowers. Conditions permitting, I swim in these river baths most of the year. But the sight of the Flannel Flowers is not nearly so continuous. They flower only in the warmer weather. A big ‘Thank You’ to my followers and commentators! Number One Commentator: David Prosser! It’s been a while since I took this photograph, but it’s still quite special. 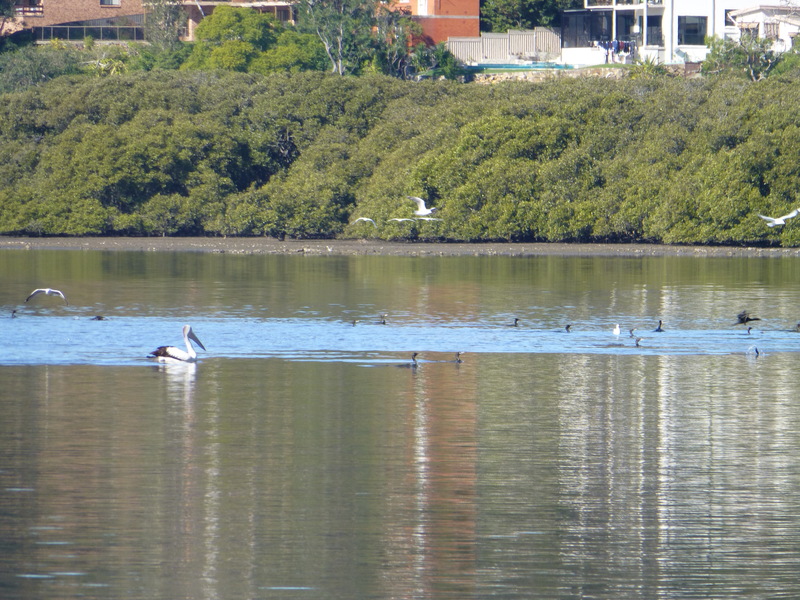 It’s a record of the one and only time I’ve ever seen a flock of Little Black Cormorants and a group of their huge cousins, the Australian Pelicans, together on the river. 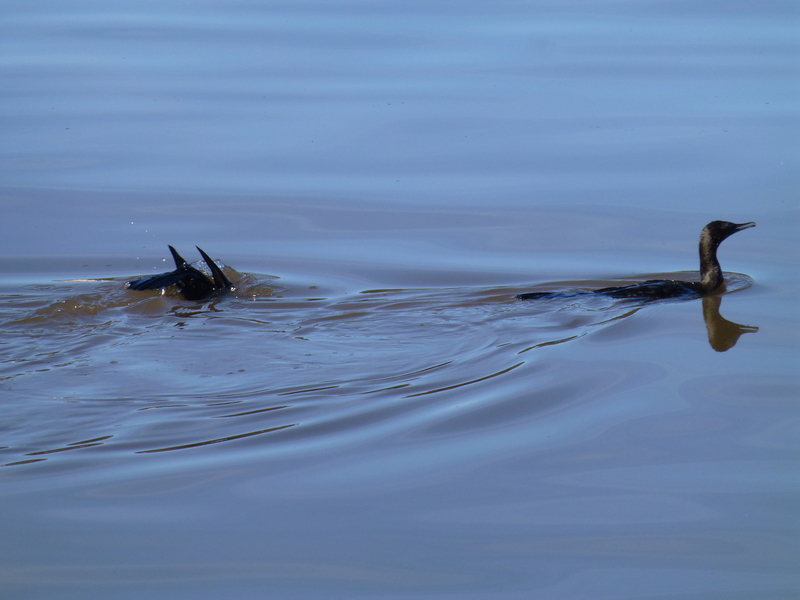 Little Black Cormorants in Action! I found this photograph in my files, taken some time ago in the local bushland park. 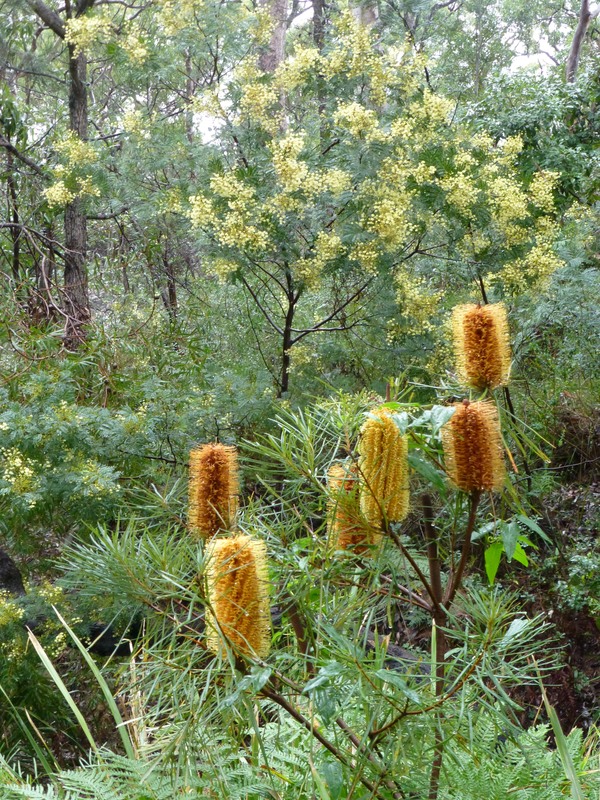 It prominently shows a beautiful Banksia in abundant flower, and in the background, a delightful Wattle also in bloom. Australian wildflowers must surely rank high on the list of beautiful plants. 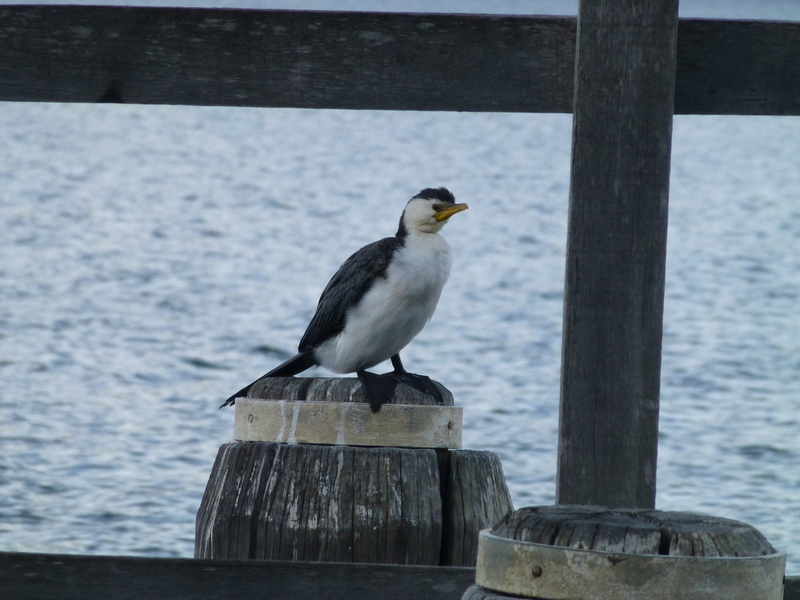 Although I see these birds quite often, familiarity has not lessened by admiration of these elegant creatures. 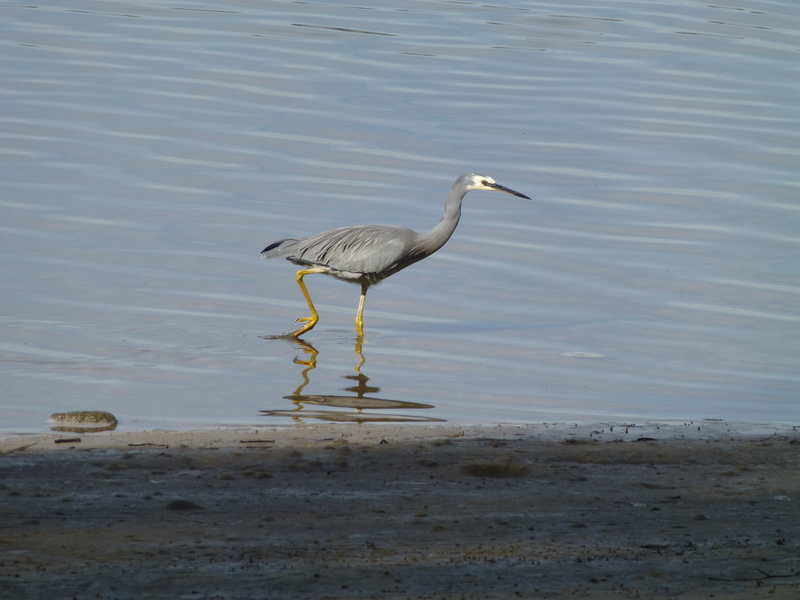 White-faced Herons make great subjects for photography, and they are not, in my experience, the least bit camera-shy.